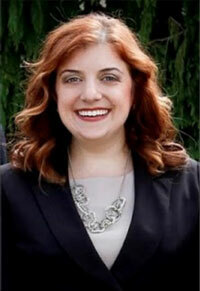 Amy Gatto, 37 was first elected to the Hamilton Township Committee in 2007 at the age of 24 and at 29 years old, became the youngest and only the third woman to hold the office of Mayor in the Township's several hundred year history. In 2019, Freeholder Gatto was proudly selected to serve as the first female to Chair the Board of Freeholders in its 182 year history. Despite the tough times facing the region, during Gatto's tenure on Township Committee, the governing body was able to eliminate their $2.4 million structural deficit by encouraging economic development and making government more efficient as well as pay down millions in municipal debt without raising taxes several years following. She was honored to be elected to the Atlantic County Board of Chosen Freeholders in 2016. A lifelong resident of Mays Landing, Gatto graduated from Oakcrest High School in 2000. She attended Widener University in Chester, PA, graduating in 2004 with a Bachelor of Science degree in International Business and a Bachelor of Arts degree in French. Following graduation, Gatto committed herself to public service, becoming a graduate of the Christine Todd Whitman Excellence in Public Service Series and becoming an elected member of the local school board in 2005. She also went to work for PECO Energy, an Exelon Company, in Philadelphia, PA as an Executive Assistant to the Chief Operating Officer. In 2008, Gatto was honored as one of Atlantic City Weekly's "Top 40 Under 40". As her career progressed, she went to work as a Project Manager and Manager of Service Operations at AtlantiCare in Hammonton, NJ, and Horizon Blue Cross Blue Shield of NJ in Mount Laurel, NJ. Currently, she serves as a Lead Manager in Service Operations for AXA, a financial services company. Gatto is proud to be the daughter of Dr. Jeri-Lynn Vernon, principal of Absegami HS and lifelong educator who currently resides in Galloway, NJ with her husband Walter Vernon, retired Army Major, and Bill Gatto, retired union Laborer, Local 172 and 40 year employee of the Atlantic City Race Course, who currently resides in Absecon, NJ with his wife Maryann. She has one brother, Billy Gatto. Gatto has long battled Crohn's Disease and is an active advocate for the disease. She is a proud member of the Italian American Service Organization, UNICO - Greater Atlantic City Chapter. She has also organized and participated in many community service initiatives including "Rock-N-Vote;" Martin Luther King, Jr. "Day of Service;" public speaker for local high school and college assemblies; member, OHS 50th Anniversary Celebration Committee; Township Committee 200th Anniversary Celebration Committee; fundraiser for Crohn's and Colitis Foundation of America, MS WALK, American Cancer Society, American Heart Association, Hamilton Township PAL, HERO Campaign, Susan G. Koman Breast Cancer Foundation and she fondly volunteers at various events at area schools and local organizations.